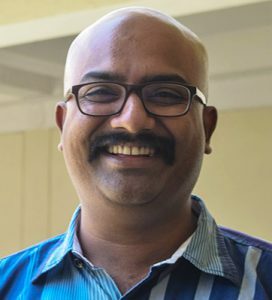 Pradeep Ramavath J is Assistant Professor and Assistant Director with CSSEIP. He specialises in Educational Policy and Governance. After his Master’s in Social Work from Tata Institute of Social Sciences (Mumbai) he worked with TVS Motor Company Limited in their Corporate Social Responsibility division, he worked closely with rural communities on the issues of education and livelihood. Pradeep has M.Phil. in Educational Planning and Administration from NUEPA (New Delhi) and has NET-JRF in Education, Bachelors in Agricultural Sciences from UAS Bangalore. He has worked with Azim Premji University as Senior Lecturer for 5 years where he taught courses in Educational Governance, Decentralisation, Educational Policy and School Systems. He has published several papers on educational decentralisation and governance and was part of several field action projects in school education. He has experience of working as coordinator of several executive development programmes in Public Policy designed by Azim Premji Foundation in collaboration with Administrative Training Institute, Mysore. He teaches “Group Inequality and Inclusive Policies” course to the Public Policy students.